The surgical anatomy of the anterior and posterior (lumbar) abdominal wall, umbilical region, and groin is presented in detail. The laparoscopic anatomy of the inguinal area, including its layers, fossae, and spaces, along with an updated section on repair, is of great importance for contemporary surgeons. 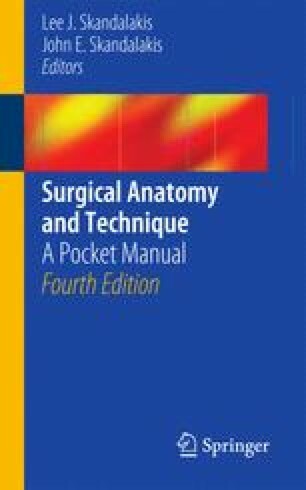 The principles of proper abdominal incisions and the surgical anatomy of the major types of incisions are illustrated. The etiology, pathogenesis, evaluation, and operating room strategy for treating incisional hernias of the abdominal wall are enumerated. A new section details component separation. Non-mesh and mesh repairs for various hernias (epigastric, umbilical, spigelian, indirect inguinal, sliding indirect inguinal, direct inguinal, external supravesical, femoral, lumbar) are presented with step-by-step details, as is repair of hydrocele.